Ask Beth: I’m ready to talk to a gender therapist about who I am. Can you help? How do I know if I’m really transgender? What should I do with all these feminine feelings? Question: Beth, I’ve done several makeovers with you and absolutely love them. I feel beautiful and myself when I’m dressed and when I see my photos. But I’ve been nervous about really unleashing my feminine side and letting her go nuts. I’m sometimes afraid she’ll take over, and I don’t know how to feel about that. How do I know if this is just a part-time thing for me or if I should go full-time? How do I know whether I’m transgender? How do I figure out what to do with what I discover? Answer: Dear Conflicted, It sounds like you’ve got a lot to think about and process about who you are and where you want to go. A talented LGBTQ-friendly therapist can help you explore your gender identity and all the related feelings and decisions. I have several therapists listed on my website under my links including Falls Church Counseling (John Thomas), Shawn Rubin, Laurice Counseling Services (Shervon Laurice), and Growth Path Therapy (Steph Nelson). I’ve met each of these therapists, and they each have shown their long-term dedication to the LGBTQ community including people exploring their gender identity. 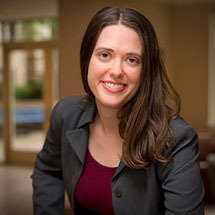 I’m especially excited to introduce you to licensed clinical social worker, Steph Nelson. Steph just opened her private therapy practice, Growth Path Therapy, in Alexandria, VA. For those of you who’ve been coming to see me since 2016 or earlier, you’ll remember that Stephanie was my super-accepting, awesome roommate for three+ years as I got my makeover and photography business started. She co-hosted socials with me for the local transgender community and has formed several enduring, close friendships with transgender women, both full-time and part-time. In all, she’s a staunch ally of the trans community, and we continue to be good friends. Steph is passionate about helping people grow including those exploring their gender identity or sexual orientation. Steph is accepting new clients and has hours in the evenings on Mondays and Thursdays. If you’d prefer to meet with her at my studio on a Monday, that’s an option too. Steph can be reached at growthpaththerapy@gmail.com or at 703-634-3141 (voice or text).